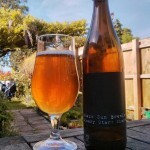 This post is an account of my fourth fumbling attempt to get into homebrew – yielding a drinkable, dark, rich beer; albeit a slightly odd one. 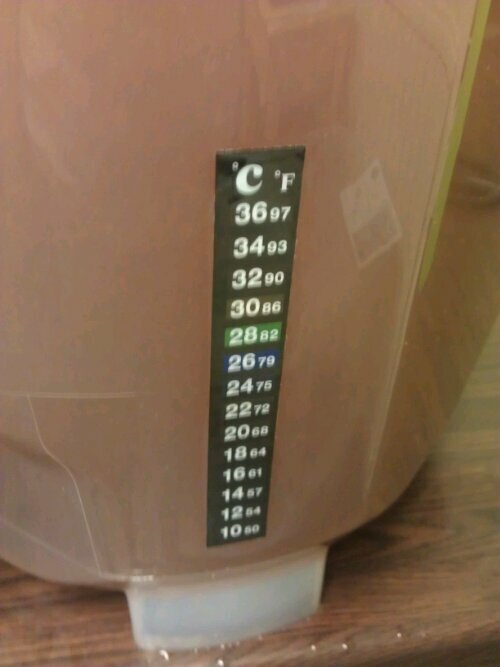 Otherwise this is a not-very-exciting log of the creation of Y-Brew 0x04 – Dark Elder Saison. It’s actually a bit messed up and when I next try a similar thing I’ll be doing it completely differently! The weekend before doing the brew Kat had harvested some elderflowers and made a tea, which has been sitting in the fridge for a week steeping. (I was away on my sudden, unexpected, EBBC trip.) The tea had a particularly “herbal tea”-ish flavour with a distinct but not really punchy elderflower note. There was about 800ml of this tea. A “secret ingredient”? 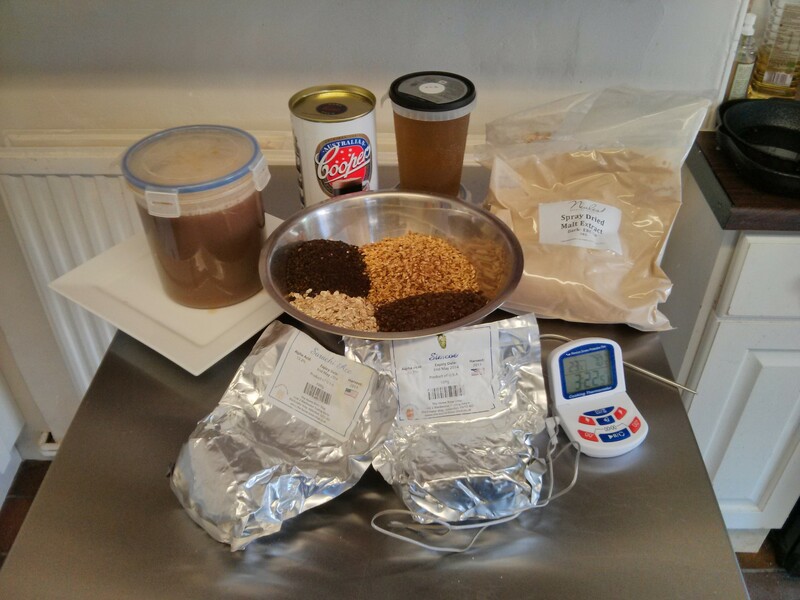 This was my first attempt to brew using some real malts and grains using a “steeped grain” method to get colour and flavour, with the fermentables coming from the kit-tin and some added dark DME to boost the ABV of the final beer. 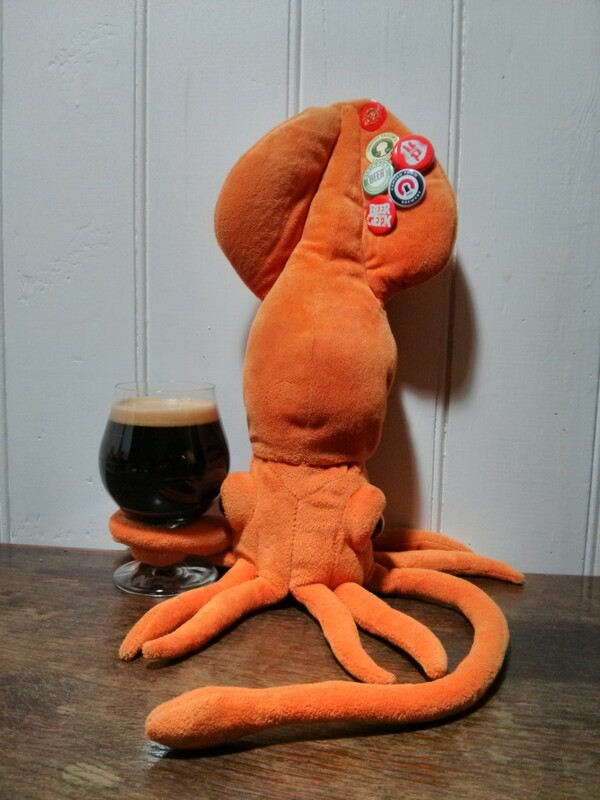 This is also the first time I’ve tried using a brew-calculator, specifically the Brewer’s Friend website – so the full “recipe” can be found here: Dark Elder Saison. With the recipe devised I used, for the first time, the services of The Malt Miller to buy my grains, next day delivery – no fussing about. For steeping the grains I brought 4 litres of water to 71°C and dumped in 200g chocolate malt (rich toasty flavours and dark colour), 200g roast barley (dry toasty flavours and dark colour), 200g flaked wheat (theoretically for head retention), and 150g caravienne malt (a little caramel richness). After 20 minutes this was at 61°C so I blasted it with a little heat to get to 67°C – not sure if there was any point to this really. TBH I’m not really sure about the wisdom of combining this set of added grains with the “kit” tin, I was just bored with kits but still had the tin lying around! It got another 25 minutes steeping and was then put through a chinois (fancy strainer) into my 10 litre stock pot. 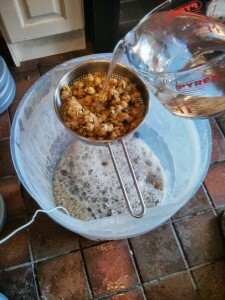 The grains were then rinsed with 2 litres of 70°C water, then an extra litre of cold tap water. This process – steeping – is just to obtain flavour and colour from the grain, it isn’t a proper brewing “mash” that yields fermentable sugars. 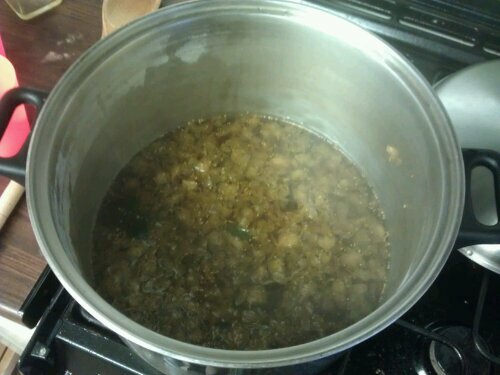 The stock pot was topped up with water to 10 litres and 1.7KG of DME added along with 700g of dark muscovado sugar. As the wort heated a 1.7kg can of Cooper’s Stout was added – yes, too early and shouldn’t have boiled as it is a pre-hopped extract? Oh well. 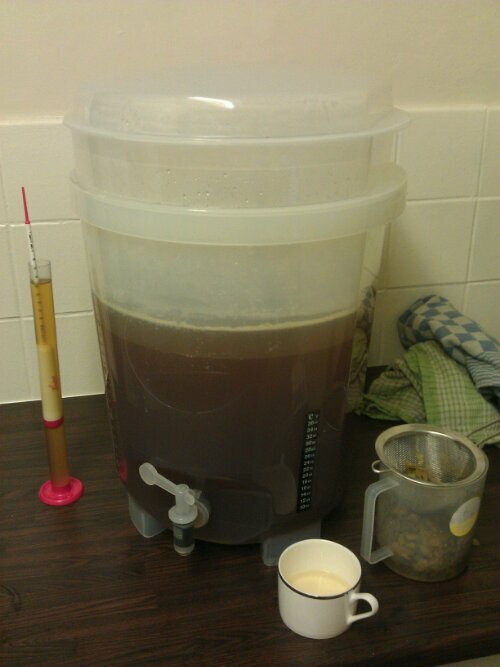 As soon as a rolling boil was reached 20g of whole-hop Simcoe (14.1%AA) was added. 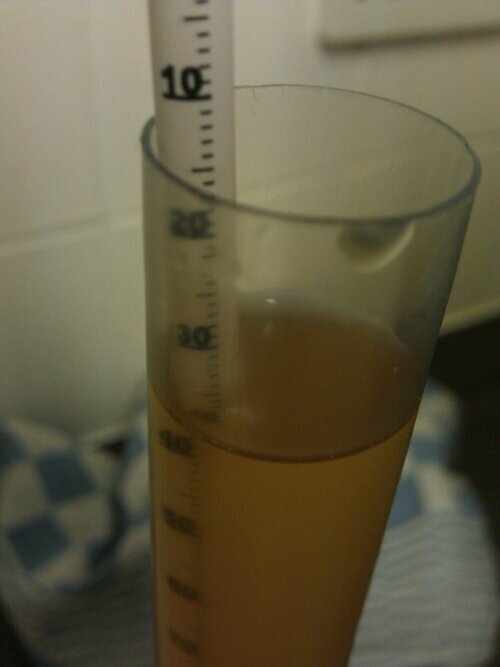 Then 25 minutes later 20g of Sorachi Ace (13.2%AA) was added. 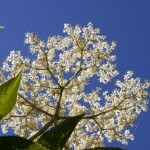 I like Sorachi Ace, the idea was that I think it would compliment the elderflower flavour. Five more minutes and “flame out”. The hot wort was poured through a “hopback” (chinois again) containing 37.5g of Sorachi Ace (to use up what I had left from the bag), the hops were additionally rinsed into the fermenter with 2 litres of cold tap water. All of this went into a 25l fermenter along with the 800ml of elderflower “tea” (hm, probably should have gone in at end of boil to “sterilise”). …verdict: not an easy-drinker. A 500ml bottle is a little hard going for me, but Kat and I can share and enjoy one. This is good, it is a sipping beer not a quaffing beer. The summer ferment peaked above 25°C and I guess this is where some strong banana-y esters have come from, these have cleared a little since bottling but are still distinctly present. 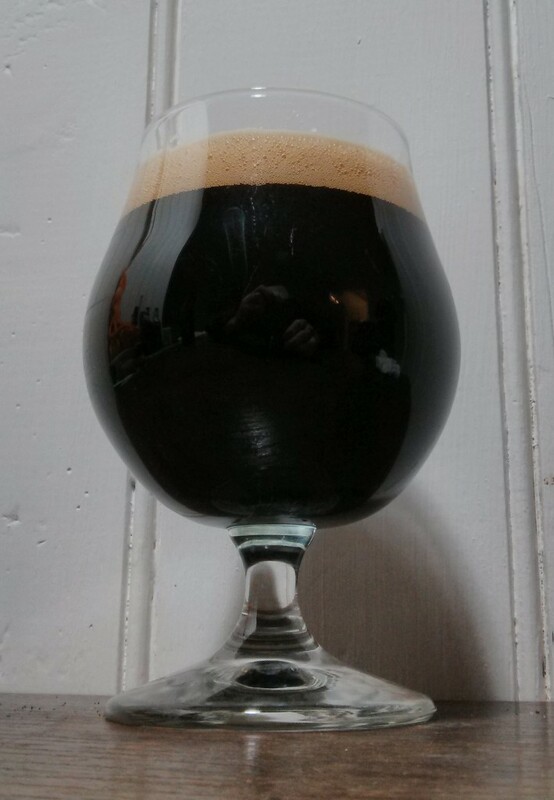 A simple description for the beer would be: dark-bitter-chocolate-coated-overripe-banana. Not really what I was aiming for! 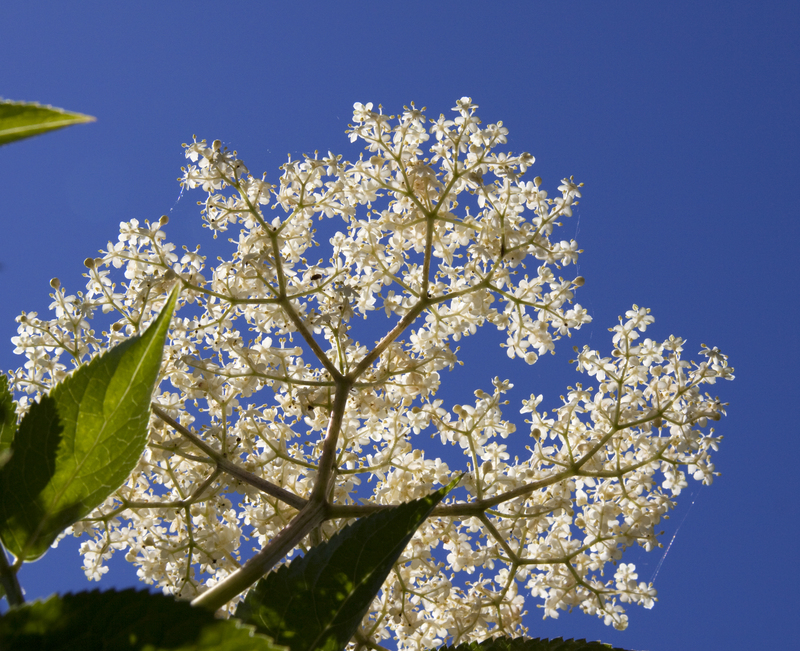 And those elderflowers? No sign of them really, so the beer hasn’t come out true to name or intention. Next year I hope to revisit the recipe but trying for a cooler temperature fermentation. Definitely without the Cooper’s kit tin, and maybe by then I’ll be all-grain. As for the temperature, it is about time I tried making myself one of these “brew fridge” setups… if only I had space for it. As it stands I have a beer that we’ll be happy with over the winter. In fact it seems to be getting better with time. Or maybe it’s just “growing on me”. Next up… the saison yeast lives on! I rescued and “washed” it and knocked up another brew using something “different” from the back yard. Y-Brew 0x05 is on its way. Well, Y-Brew 0x02 is in the fermenter. A simple kit again — St. Peter’s India Pale Ale. In no way adulterated… yet. The OG at 27°C looked to be about 1048, which the Brewer’s Friend temp adjustment calculator suggests to be about 1049 @ 20°C. This seems right for giving a FG above 5% (final target ABV is 5.5% — but that takes into account priming for secondary I expect). The hop powder provided was scattered in onto foam from 5 minutes of vigorous agitation (oxygenation), followed by the contents of the yeast sachet. “Pitch” temperature was about 27°C. Vague intention to split this into two two–gallon pressure barrels and dry–hop one with Simcoe. But to do that pressure barrels must be bought, which is about £50. Could be very useful for making split brews in future though, a two gallon barrel is easier to take away and also fits in the fridge better. This will be the last kit brew I do. Going to try extract next, probably with steeped grain using a recipe from either the Brew Your Own British Real Ale or Radical Brewing book. Now… the waiting begins. Time to pop a Y-Brew 0x01 into the fridge perhaps! Brew done... and trying some hop-tea: hoppy & quite bitter. 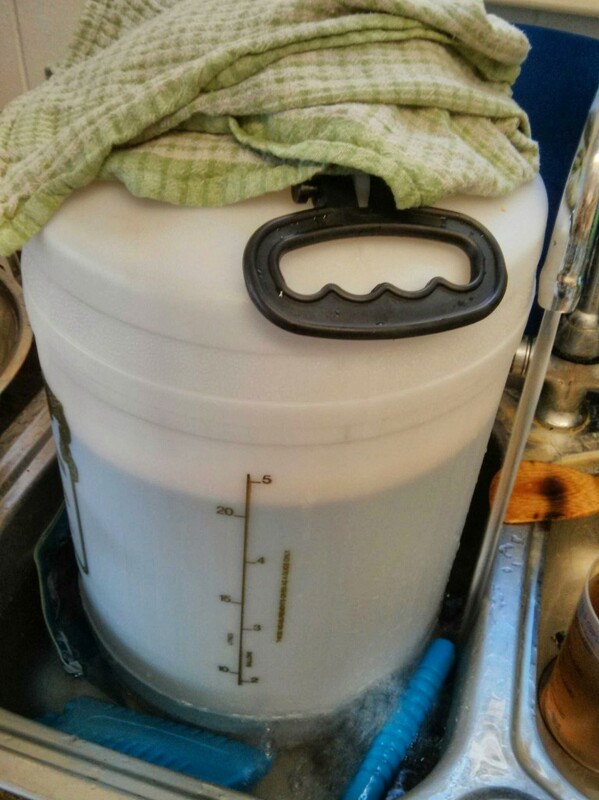 Well, here we go – my first homebrew… finger’s crossed it isn’t a dud first experience! I’ve followed the kit instructions pretty closely with a minor, I think, tweak in the hop department. 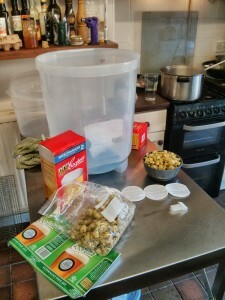 I bought the kit, plus some other bits and pieces including extra hops and a St Peter’s IPA kit from http://www.the-home-brew-shop.co.uk/ – prompt delivery with a tracking code and everything intact except for the very flimsy Cooper’s DIY Beer DVD, which was cracked! No worries, as the video is also online along with many other instructional videos from other folk on YouTube. 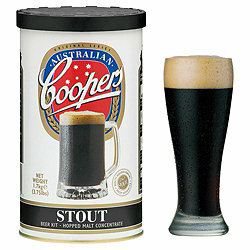 I started with a Cooper’s Original Series Lager Kit… and did some research online. It isn’t quite a lager, for starters, it comes with an ale yeast so is really a light ale. Quite a few reports of using this kit with extra hops (in various ways) can be found on the popular homebrew forums too. In a more general sense, there were various things said about water treatment, with the primary concern being to get rid of chlorine. There was some talk about boiling water to achieve both de-chlorination and to remove some hardness. On Saturday I boiled 25l of finest Cambridshire tap-water and popped it into a 5 gallon plastic barrel I’d included in the order. This sat for about 24hrs to cool, with the lid off (covered with a teatowel). This plus a little Brita filtered water from the fridge was my brew water. Used with a little reservation as it did taste a little “odd” – not bad odd, just different from the tap water. Come Sunday evening, I sanitised all equipment as best as possible and started my brew! I made up 20 litres as per the kit instructions. I.e. dissolve the Brew Enhancer 1 in hot water, mix in the hopped malt extract, top up with water to 20 litres. This is where I went off-plan. I took off 2 litres of wort and brought this to boiling point in a large saucepan. I then added 10g of Saaz hops, then after 6 mins I added another 10g, then boiled 6 more minutes. I added this extra-hopped wort to the fermenter through a strainer. After mixing this in the temperature was up at about 30C, so I added 2lt of chilled water from the fridge – through the hops in the strainer – then topped up with room temp water to just a little over the 23lt mark. This left the temp a little high at 28C. 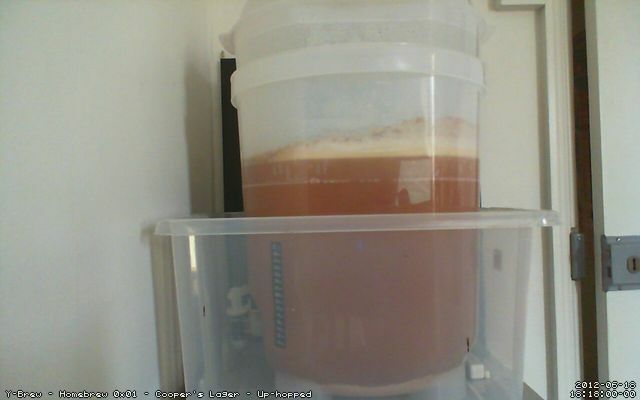 I sprinkled the packet of yeast and moved the fermenter to the warmest room in the house – the study. I’m currently a little concerned that there doesn’t seem to be much activity in the brew, though there is some. Perhaps I should have followed the frequently seen instruction to toss the kit yeast and buy some brewing yeast separately. Well, time will tell. I also just tasted my OG sample and… hmm… it’s a bit bitter. At room temperature mind you. I thought I was being conservative with the 2x 10g hopping with the Saaz, which is only 3.1% alpha acid. I’d seen forum posts where people popped in 2 x 30g and then another 30g dry-hops post-ferment. I do intend to add some dry-hops too, I have some Sorachi Ace for this! 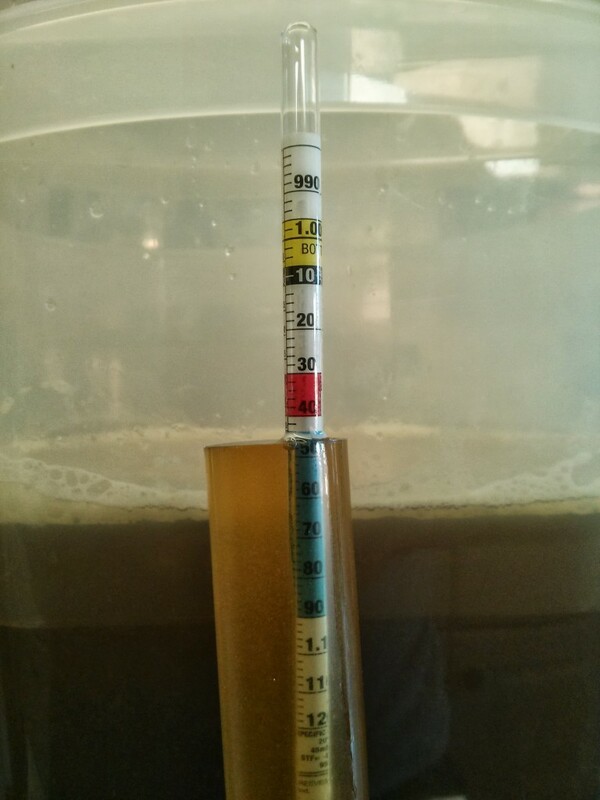 The OG was a seemingly low 1034 – though this looked more like 1033 after it had been sitting for a couple of hours. 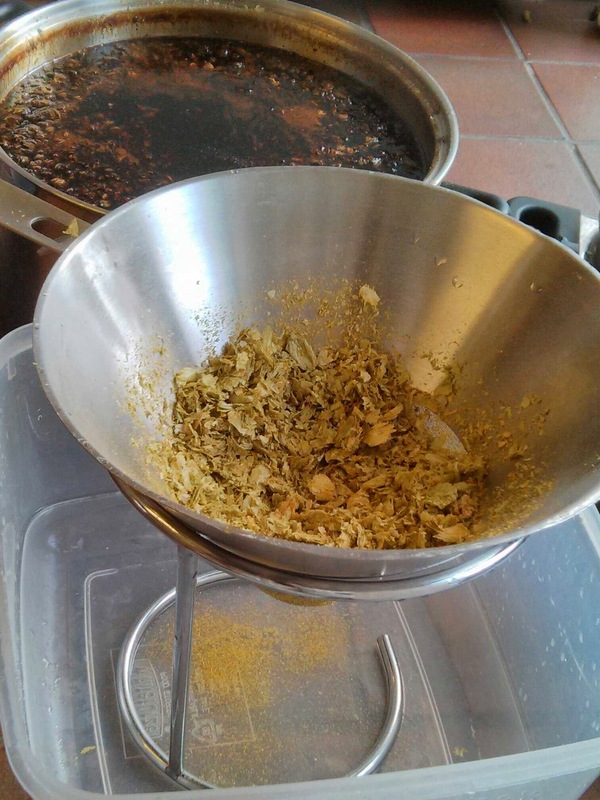 Hops: Boiled in 2lt wort – 10g Saaz at boil, 10g more Saaz after 6 min, 6 more min boiling. One review comment on the coopers kit: why on earth does it come with a non-permanent marker that wipes off the shiny brew-sheet provided?